" Kiku Flowers, Chicken Couple "
The top part of the mounting is a little bit frayed so that there are a few small holes at the part. 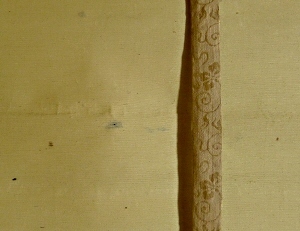 The roller ends may have been changed from original ones to the plastic ones. 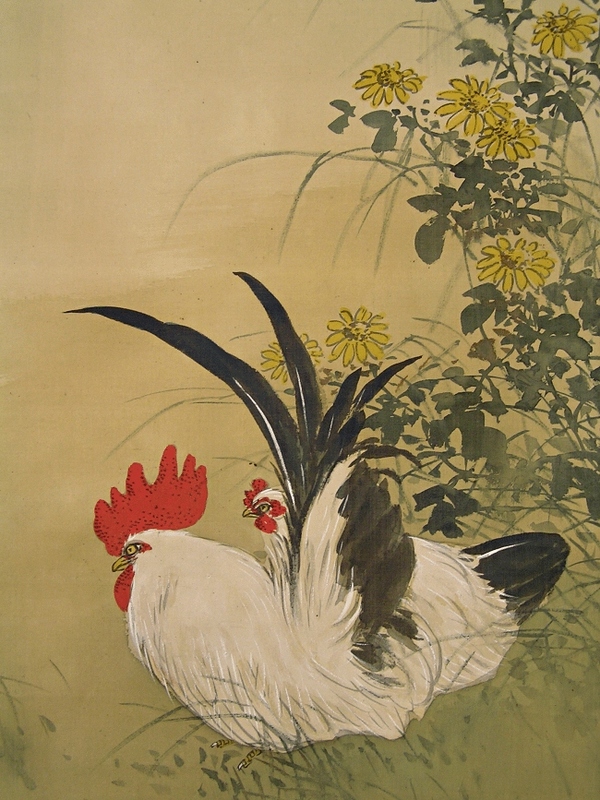 Kiku (Chrysanth) flowers and chicken couple are painted artistically. Chicken never implys weak or wimp in Japanese.